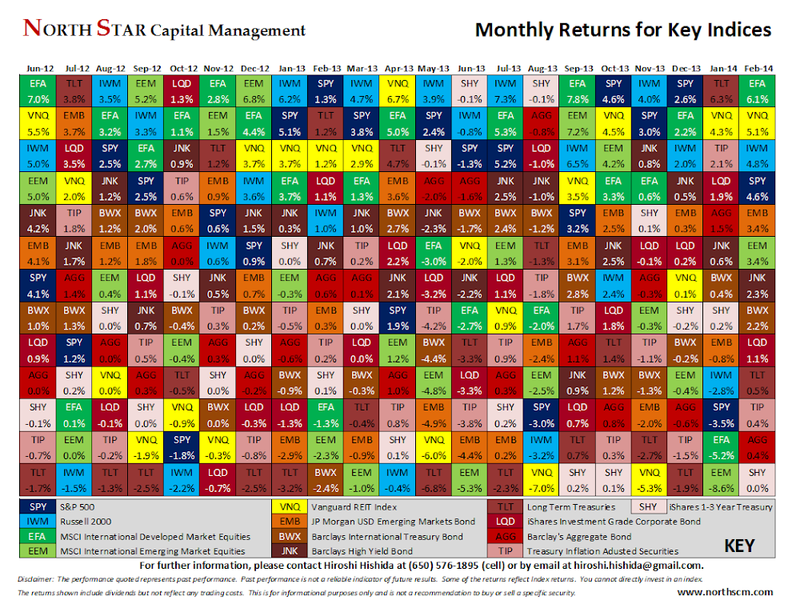 Here are two charts showing the annual and monthly returns of various asset classes that I track. Historically from 1926 to 2012, small cap stocks (IWM) have outperformed large cap stocks (SPY) with annual returns of 11.7% vs. 9.9%. However, small cap stocks have had 50% more volatility. International Emerging Markets (EEM) carry a similar risk premium to International Developed Markets (EFA). You can see the higher risk/reward of those two indices in these charts. IWM and EEM often lead SPY and EFA in the up years but also often lead downward in the years with declines. 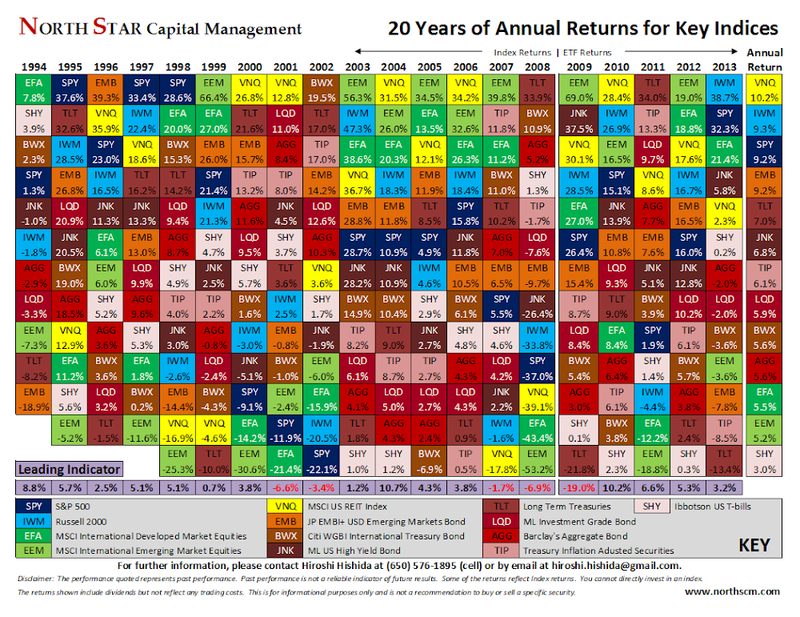 Bonds are a good way to diversify a portfolio. In the years that SPY was down, Bond Indices have often had good returns. US REITs (VNQ) have also been a good way to diversify a portfolio.